Creative Journaling allows us to be creative in a different way. 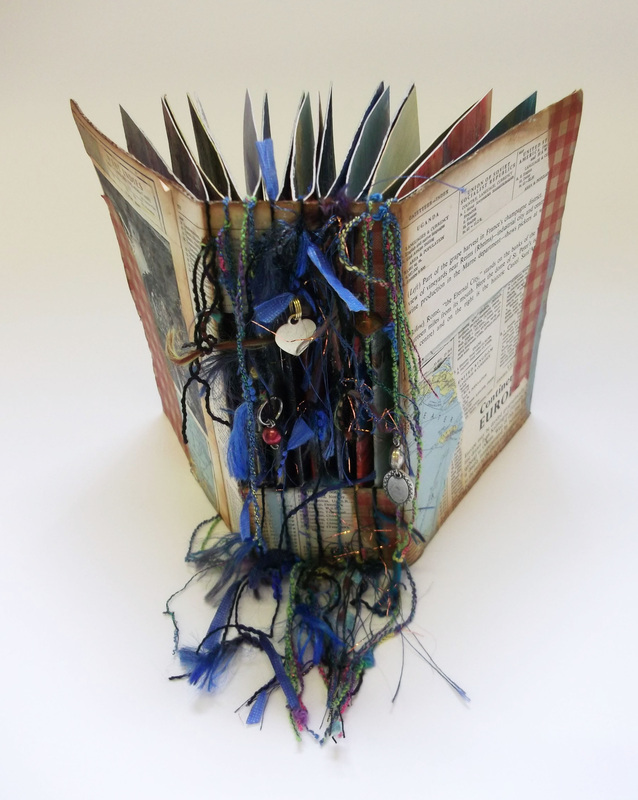 Mixed media techniques coupled with inspirational words result in some beautiful work that can be bound into a treasured book. A Junk Book is made completely from recycled materials, the one of the left is painted cereal boxes and on the right empty tissue boxes. I have devised a way to encourage people, who may not consider themselves creative, to experiment with a creative process and to produce some beautiful work. This technique has been used many times, each time with good results.